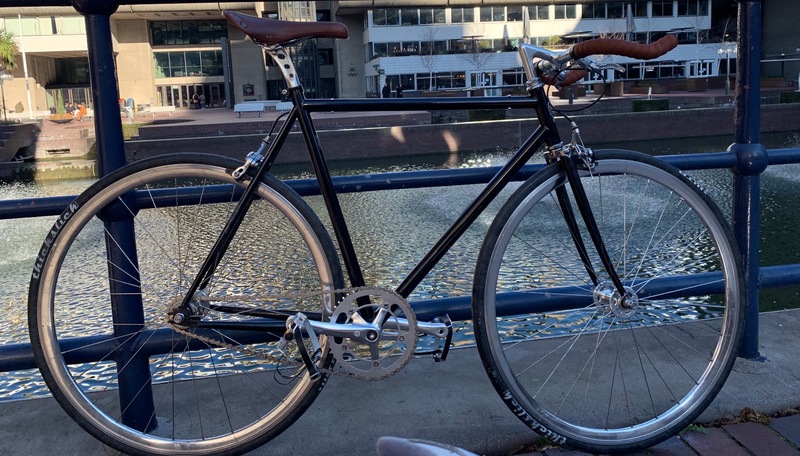 Black classic single speed bike size 53. Brown bullhorn handle bars and brown leather seat. Black metal toe clips and black leather toe straps. Very brand new 10/10 condition.